And we are back… Here we are going to concentrate solely upon Web Designer Premium 365 as a stand alone product. Above: What you are looking at is Responsive Web Design. 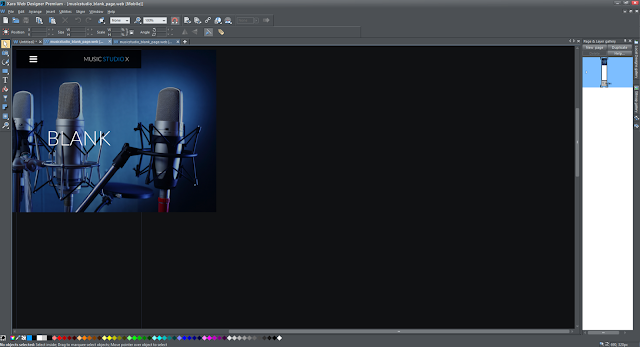 On top you have the desktop version of the music studio site and on the bottom, we have the mobile version. Do you remember the concept of Dynamic HTML? Well, basically DHTML was introduced with the release of the Dreamweaver web design application when it was owned by Macromedia. Dreamweaver brought HTML animation to the table and it looked great - only on specific web browsers. That was the caveat. Thankfully, HTML5 is a standard that spans across the different web browsers and Xara Web Designer Premium 365 makes use of that standard to produce compatible websites that look and perform the same in different browsers. We have some great animations that activates upon reveal. In addition there are wonderful scrolling animations, slideshows that span the width of the page, objects that stick to the top upon scrolling, and parallax scrolling effects. The content library is now online as opposed to being a hefty part of the application. The content library is called the Online Content Catalog and it is awesome! The Online Catalog features wonderful website templates for just about every user from hobby to community to business in most areas such as the creative arts such as music! In addition there is a wealth of photos and clipart to help decorate the content. We now have Smart Shapes that aren’t quite info graphics but they can come in handy for expressing data such as percentages, growth, etc. 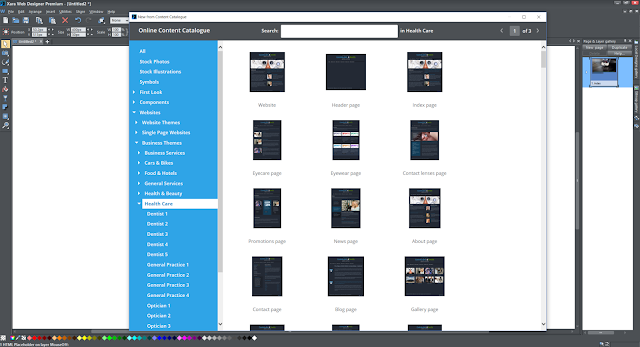 Photo Grids is a great way to arrange and display photos on a page. And while we’re on the subject of photos, there are some new developments that include new filters and handling which is always welcome! There’s also some new Social Media Widgets - one of the best is the inclusion of Google Forms. Forms, as you might have experienced, can be bothersome - especially the way in which forms are processed… PHP can produce a very good way of handling forms but if you don’t know what you are doing it takes just one error in the syntax and the form is ruined. Google Forms takes all the grunt work out of form processing. In terms of video, it would have been a welcome bonus to have been able to create a “poster” either from the source at a designated time in the video or by using a graphic/photo. You can’t loop videos too! Audio, it would have been ideal to enable the player to display track titles as this would be a great addition for musicians and broadcasters. For both audio/video there’s no means of creating a playlist; that’s a shame. 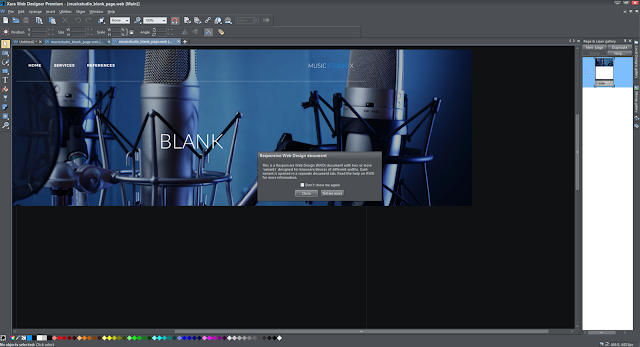 Xara, the software house behind Web Designer 365 Premium, are affiliates of the multimedia force that is MAGIX and I would have thought by now Web Designer 365 Premium would have some awe inspiring audio/video players. I have to say that I am surprised that there’s no routine for creating video backgrounds? 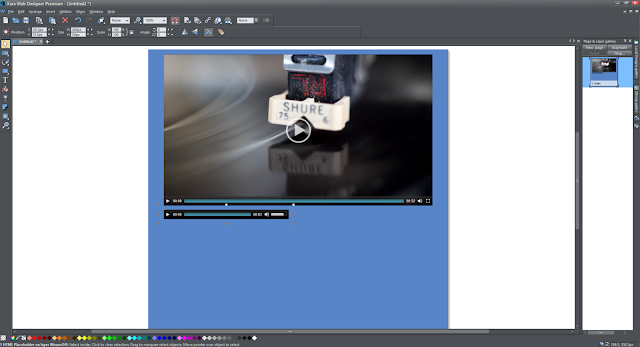 There’s no doubt that Xara Web Designer 365 Premium has been greatly improved; although I am inclined to think that audio/video can be better. It is possible to make use of other media players such as JPlayer, which is just a matter of adding HTML code. 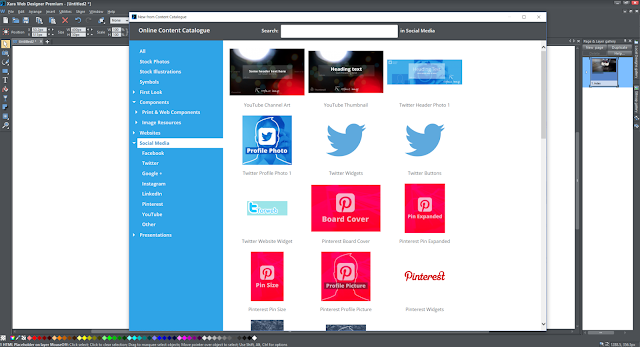 As a WYSIWYG web design application, Web Designer 365 Premium one of best on the market today! It takes care of responsive website design and its rapid at web page composition what with its alignment rulers ensure that objects are placed in precision and in relation to supporting objects. Xara Web Designer Premium 365 scores an Electrochemy Gold! It would have scored Platinum if databases could be integrated into a website; the lack of database support may have "professional" web designers look elsewhere. There again, these days, incorporating a database into a website is no longer essential. It is possible to design great looking professional and functional websites without the need for a database. WHAT’S GOING ON WITH ELECTROCHEMY TV?? ?